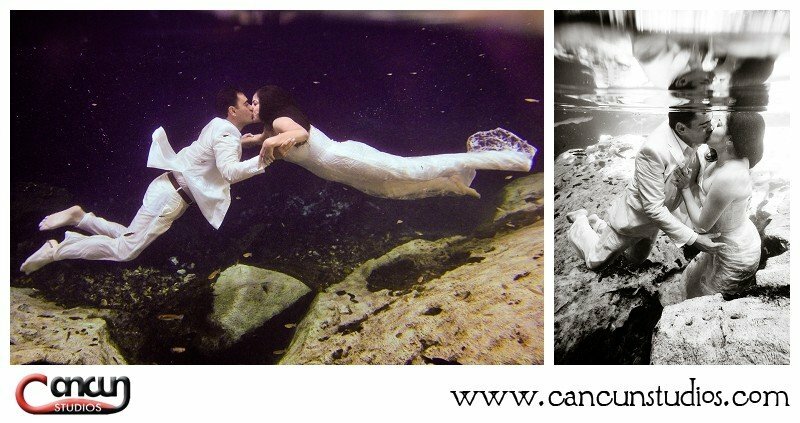 This amazing couple from Mexico had a beautiful wedding at the Secrets Capri Resort followed by a Trash the Dress session that included a spectacular sunrise, Mayan ruins and a mystical cenote for Underwater photography! Full moon overlooking the ceremony, what more can you ask for? Look at that mOOn! So beautiful! Some more off-camera flash tricks for these unique photos! Perfect kiss to a perfect day!